Thinc is a collection of workshops designed to help teams co-create more inclusive environments. Diversity, equity, and inclusion are hot topics right now. New hashtags, acronyms, and terminology spread like wildfire across social channels and traditional media outlets. The awareness is there (at least we are getting there), but many of us are still at a loss for how to take deliberate action. At the beginning of 2018, my partner and I asked ourselves this question. Determined to find an answer, we decided to focus our senior capstone project on diversity, equity, and inclusion in the workplace. We asked, how might we use design to solve for more diverse, equitable, and inclusive work environments? 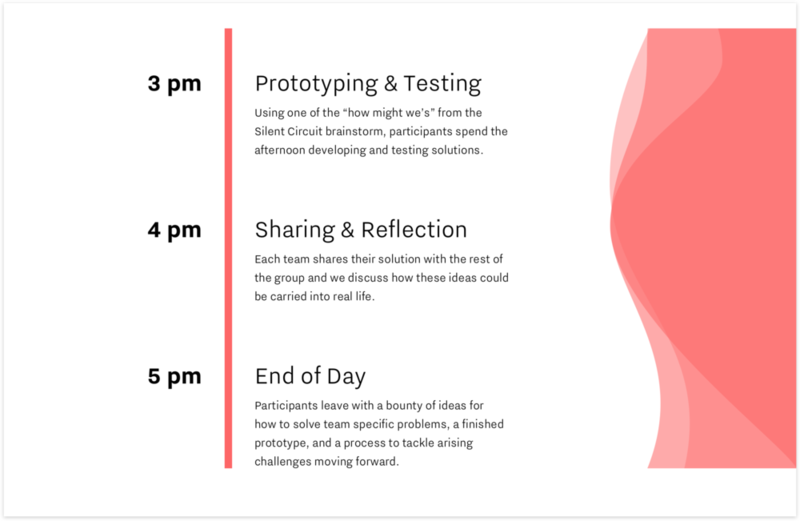 Through rounds of prototyping, testing, and iteration, we arrived at Thinc, a collection of workshops designed to help teams co-create more considerate team cultures. Thinc equips people and organizations with the tools, methods, and mindsets necessary to lead with resilience, connect over conflict, and embed inclusion into their day-to-day. Exclusion is largely invisible to anyone but those who are left out. Too often, people don't recognize that the language they use or the behaviors they practice leave others feeling excluded. The dissonance between the acts and intentions of an unintentional perpetrator becomes a barrier to openness and compassion. If confronted, they often become defensive and unwilling to listen and understand, making it difficult for the two sides to come to a resolution. By studying workplace incidents, we gained insight into common roles involved in any given conflict. We decided to focus on three of them: the Victim of Exclusion, the Unintentional Perpetrator, and the Passive Bystander. 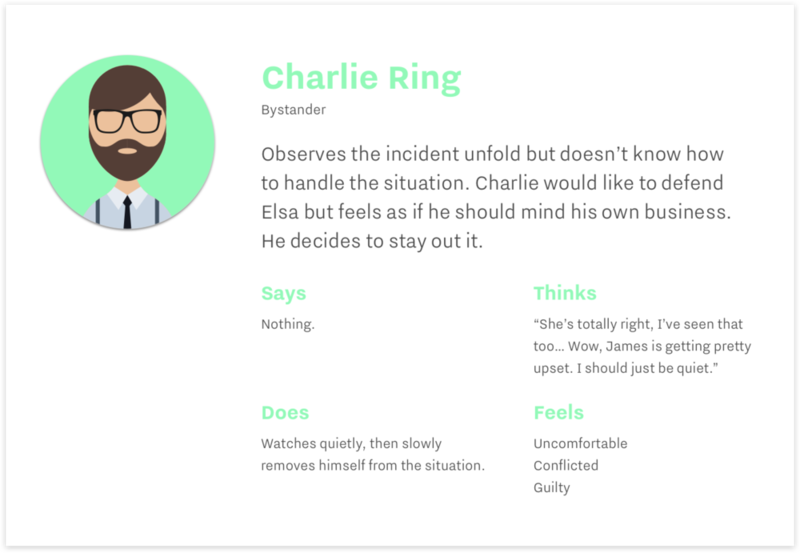 How might we help teams address incidents in a constructive and restorative way? To answer this question, we decided to design a workshop in which teams collaboratively resolve issues that cause friction between team members. The workshop went through several rounds of iteration, and we continuously validated our ideas with people outside of our project. We tested and refined everything from website copy to workshop pitch to individual workshop activities. Thinc is different from other Diversity & Inclusion workshops you’ve already suffered through. In our research, we learned that terms like ‘diversity training’, ‘implicit bias work’, and ‘DEI initiative’ generally don’t sit well with people. They think of uninspiring online modules, dull seminars, and non-actionable information getting in the way of actual work. We decided to be different. Our workshops are biased towards action and incorporate co-creation as a key component. This means that teams will create their own solutions to problems that are relevant to them. We spend little time talking and a lot of time doing, learning, and improving. Human first, organization second, technology third. We started this project by focusing on individuals within organizations, making sure that our solution meets the needs of our end users. Next, we will focus on bringing value to organizations. 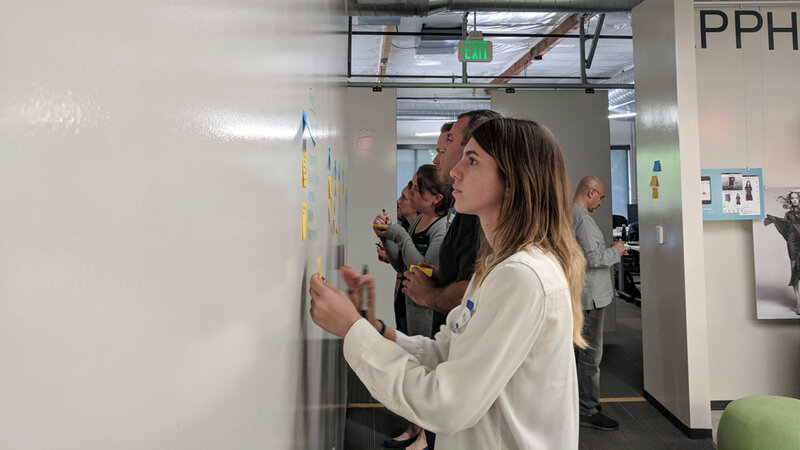 We are currently working with a small number of clients to audit their team culture, set company-specific goals, and custom design a program of workshops that can help them reach those goals. In addition, we are working to develop a set of digital tools for teams to use outside of our workshops. Follow our progress on thincnow.com.